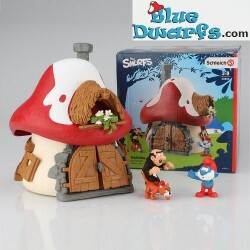 Complete smurf sets There are 55 products. 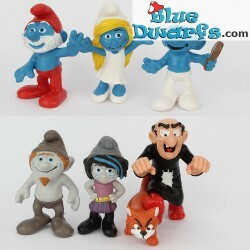 12x The lost village movie smurfs (20800,20801,20802) + smurf house with 2 figurines (20803). 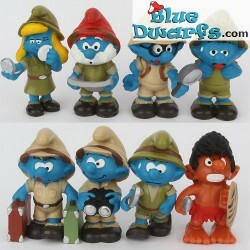 All Schleich smurfs from 2017 that are based on the smurfs 3 movie. 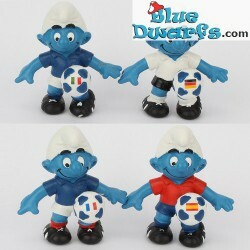 25,00 €	If you order this article only, you can select the option: "Shipped as letter" instead of shipment as a parcel. 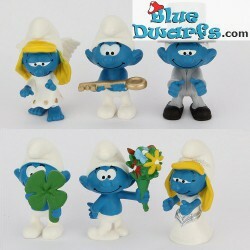 20794-20799 (2017): Lucky smurfs (6 smurfs) 20794: Valentine Smurfette, 20795: Smurf with key, 20796: BrideGroom Smurf, 20797: Four-leaf clover smurf, 20798: Smurf with flowers, 20799: Bride Smurfette. 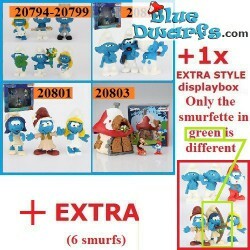 If you order this article only, you can select the option: "Shipped as letter" instead of shipment as a parcel. 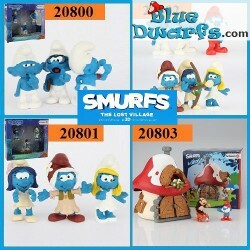 20800: 3 Schleich figurines based on "The lost village" cinema movie (movie 3/2017/ set 1) 20800 (1): Clumsy smurf (Schleich 2017), 20800 (2): Brainy smurf (Schleich 2017), 20800 (3): Hefty smurf (Schleich 2017). 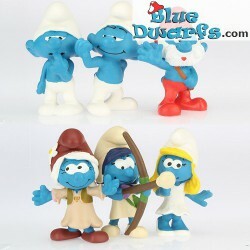 20801: 3 Schleich figurines based on "The lost village" cinema movie (movie 3/2017/ set 2). 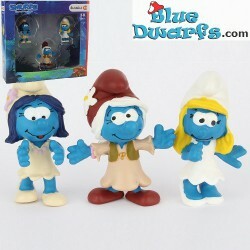 20801 (1): Smurfblossom (Schleich 2017), 20801 (2): Smurfwillow smurfete (Schleich 2017), 20801 (3): Smurfette (Schleich 2017). 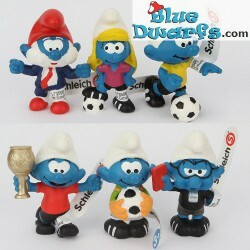 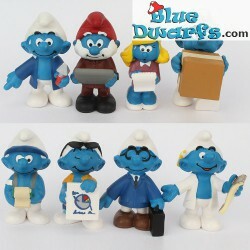 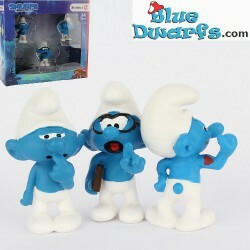 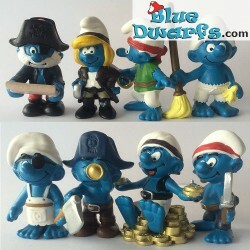 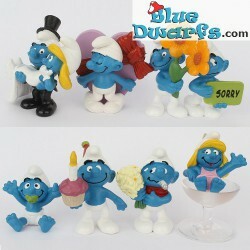 20803: House Smurfs *new style* + 2 smurfs (Mint in Box). 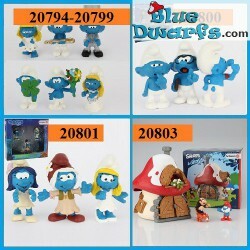 20803 (1): House Smurfs *new style* (Schleich/ Am Limes 69, Made in China), 20803 (2): Gargamel and Azrael (Schleich 2017/ 20759/ Made in China), 20803 (3): Papa smurf with bag (Schleich 2017).